In 1982, Our President Mr. Reao Wang start his own business Puriwin industry Co., Ltd. in Taiwan to produce rubber & plastic Splash guards, Third brake lights, Car mats, Auto accessories, supply to Canadian Tire, K-Mart, The Bay … etc. In 2008, We established a new company “ Gloritage Industry Co., Ltd “ to develop good products, manufacturing & Marketing. 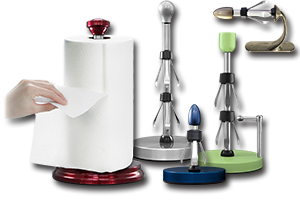 In 2015, Start manufacturing Metal Paper Towel Holder under the Brand name of “ Mamiaid “.